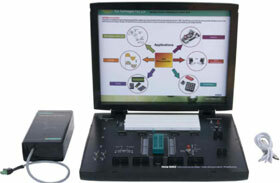 Nvis TechBook 5001A 8051 Universal Development Platform is a full-featured development system for 8051 microcontrollers. It is an ideal platform to implement and test the designs both for the beginners and the experts. 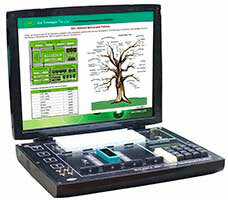 The Nvis 5001A comes with 20 Keys Hex keypad with 16x2 LCD for user programming mode. 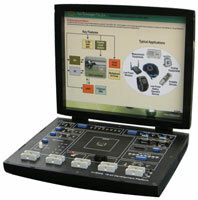 Nvis 5001A 8051 Universal Development Platform also supports PC-based programming for large size program code. 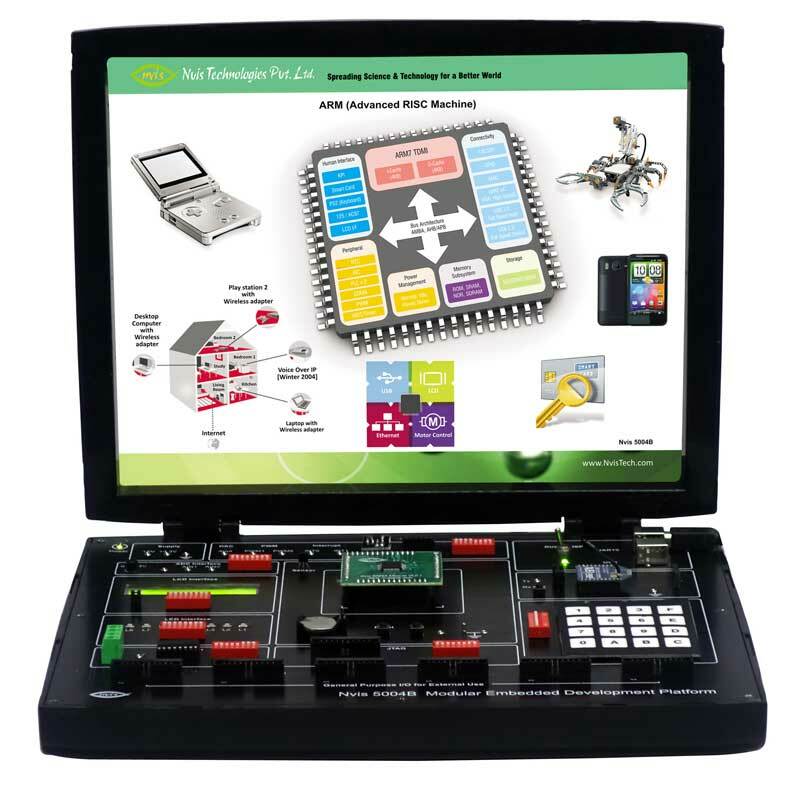 Using Nvis 5001A, a range of projects in various domains like telecommunication, robotics, consumer electronics, etc can be made.Nvis 5001A gives designers a quick start to develop code on a controller with on-board programmer and on board breadboard facility. The flexibility of connectors allows a user to make external connections. 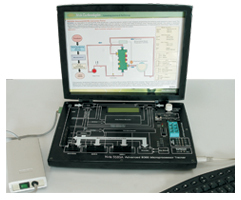 On board breadboard allows them to make their own circuits and perform any experiment they desire. Nvis 5001A, 8051 Universal Development Platform is an ideal platform to enhance education, training, skills & development among our young minds. Core 8051 MCU clocked at 11.0592 MHz. 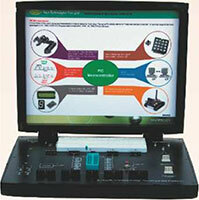 For large program user can use on board PC based USB Programmer. On board LCD for both programming mode and run mode. Decimal Addition of two numbers. Hexadecimal Addition of two numbers. Hexadecimal Multiplication of two numbers. Hexadecimal Division of two numbers. Hexadecimal Subtraction of two numbers. Logical Operation AND, OR, XOR, NOR, NAND, and NOT. Square root calculation of a byte. Flashing "Nvis 5001A" on LCD.